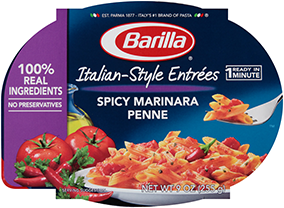 Made from the finest durum wheat, Barilla® Collezione is crafted using traditional Italian bronze plates for a homemade "al dente" texture that perfectly holds sauces every time. Elevate everyday with Collezione Bucatini! The Bucatini pasta shape resembles thick spaghetti but with a hollow center, known as the "buco" or hole. This robust shape pairs perfectly with rich tomato-based sauces, vegetables and cheese.